I love a good fauxmance. Hence the word good! If this troupe is done right, in the end, you have a delightful romance. What I really love about the whole fake girlfriend scenario is you have these tricky moments that both parties have to navigate to “prove” that their love is the real deal. M. Ullrich brings the heat every book she writes but this one took a lot of skill to pull off. Why? She gave us two characters that were not easy sells. What I mean by that is both characters had their flaws, big personality traits, you as the reader don’t automatically pull for them, its actually quite to opposite. 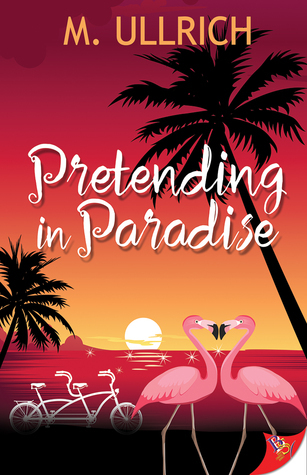 The gist of the story is you have Caroline Beckett, a PR specialist, who comes into a new job with an internet travel company, straight into a problem she needs to fix quickly. Her problem is travel blogger Emma Morgan and her on the side hookups while at destinations she is reviewing. So throw these two together in Miami while Emma reviews an exclusive couples only resort and Caroline keeps an eye on the wily blogger. This one is a slow burn, you have two characters that resent being put in the position they are in. Therefore they resent being in the same room together. These ladies did not hit it off at all. I am here to tell you in the first few chapters you are going to wonder how this is a romance. It was not looking good my friends. These two have a lot of personalities and they are going to clash, I had to wince a few times. As the story progresses these two find their footing, common ground and begin to look through a new lens. The rocky start morphs into more slowly and you the reader are right there for it all. This is a great read by M. Ullrich. I always expect so much from this amazing author and she has yet to let me down. A fantastic read that will not disappoint. I loved the beginning, shook my head at the middle, and am totally perplexed by the ending. Was it well written? Absolutely! Did I like it? Well, I’m unsure. So, so unsure to be honest. There are parts of this book that are brilliant, parts that made my heart hurt, parts that made me smile and parts that I thought what the bloody hell. This book is a conundrum. If you give it a read, I would love to hear what someone else thinks. M. Ullrich is a fantastic writer, one of the best, in my opinion in the f/f romance genre. I think when we pick up a book we are looking for a few key factors. Developed characters, yup Ullrich gives us those in spades. Good dialogue, once again we have that too, thank goodness. A strong balance between showing and telling, again we are good. Lastly the originality element. Is this another recycled plot line, and if it is you better bring it better that the predecessors. This factor Ullrich owns easily, her books have a uniqueness that we don’t always see in this particular genre. Her stories go a bit outside the box and they do it in the best possible way. 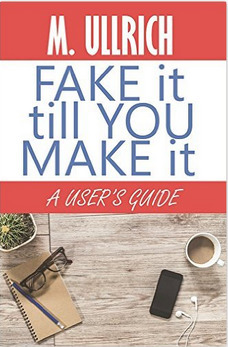 Fake It Till You Make It is no exception. Our main protagonist is Genevieve Applegate. Gen is your small town girl, from rural Pennsylvania. She has had the same friends since birth, knows every soul in town. Unlike everyone else, Gen feels this need to get out and do more. She feels as though her wings have been clipped both professionally and personally. So she scours the employment ads for a newspaper or magazine journalist position that will take her anywhere outside of Milan, Pennsylvania. Harper Davies is the editor/owner of Out Shore Magazine. Harper who has been burned by love once does not see that in her cards anymore. She pours her heart and soul into the magazine and that takes precedence in her live above everything else. Everything changes when she interviews, the adorable girl next door, Genevieve Applegate. For the first time in a very long time, Harper wants to get to know a woman in more than a professional aspect. There is a big problem, Gen has no clue she just accepted a position at LGBT publication. She also digs herself in a big ol’ self-inflicted hole by allowing everyone to believe she is a lesbian. This is especially a problem since she has a fiancé, a man, named Jeremy who she has been dating for a decade. EEK! You can see the dilemma, the drama from a mile away. You also get the see the amazing chemistry Harper and Gen have. A sweet romance, that is eye-opening for both of our leading ladies. My only complaint is I wish the book when have been longer. This one is definitely on the shorter side than I usually prefer. Overall this is a really good book, and you can count on this author giving you a fantastic story time and time again. I cannot wait to see where she takes us next. I’m going to be 100% honest here, I had intended to pass on this book. 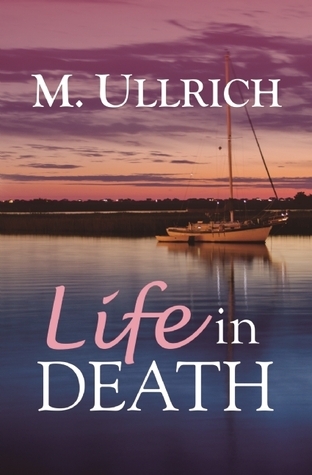 I adored M. Ullrich’s last book, but when reading the synopsis for Life in Death, I was stuck on the fact that this book would tackle the loss of a child. I cannot imagine the pain that these characters were going to endure, and quite frankly I did not want to even go there. So, I was going to look away, but the enormous amount of positive reviews kept catching my eye, and a few people reached out to me and raved about this book. So I caved, and I read the book, and kept reading, and kept reading some more until it was finished, all in one night. I will say this book is a gauntlet of emotions. The book begins with a window into a perfect little family, two women who love each other dearly, and their amazing little girl, who rightfully so, it the light of their lives. You know it’s’ coming, like the shark in Jaws, you can feel the foreboding, the shoe is about to drop. Abigail the daughter of Marty and Suzanne has cancer, and she will lose her battle with the awful disease. A life cut way too short, and her parent’s relationship fractured beyond belief. This book is a roller coaster of emotions, you will feel your heart break right along Marty and Suzanne. The pain at times is palatable, tears streaming down your face as you feverishly read, totally engrossed in the story. Is it good? Oh my goodness yes, this book is very good. Life in Death takes you on a road of telling the past, mixed in with the present. You see how Marty and Suzanne found each other, and why they broke. You cheer for their road back together, knowing all the while these two will never be whole without the other. This one will stay with you long after the last chapter. A fantastic read, I do recommend waterproof mascara and tissues! My only real criticism, the ending was a touch too short. M. Ullrich has written one book. That one book is the Fortunate Sum. For this to be Ullrich’s first book, well that is just stunning. Stunning in the fact that this book is so very good, it was a fantastic read. My proverbial hat is off to you M. Ullrich (I would take a real hat off but I don’t wear them). Catherine Carter is the epitome of all work and very little play. She has climbed the corporate ladder and her success has paid off career wise. She the youngest member and first female to make it to the top of her company, Maracati & Stevens. Dedication and drive fuel Catherine. Her life is her work. One the flip side she has very little personal life to speak of. She has goals mind you, to be married by 30, just a few months away, and to raise a family, but there are no prospects on the horizon. This all changes one evening when attending her best friend’s birthday party she is approached by a beautiful young woman and a psychic. Imogene Harris is quirky, fun and successful in her own right. She has also suffered great losses in her life. 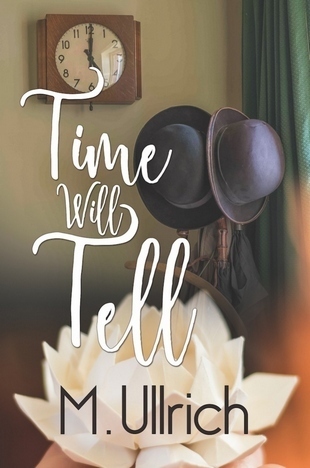 The book begins as Imogene has just lost her grandfather, and guiding force in her life. Her grandfather mentored her, and took over the role of her father, after her dad was killed in the collapse of Tower Two on 9/11. Imogene relies heavily on her best friend, psychic, Sophia. Sophia comforts Imogene in her time of need, and talks her into going to a friend’s house for the upcoming party. 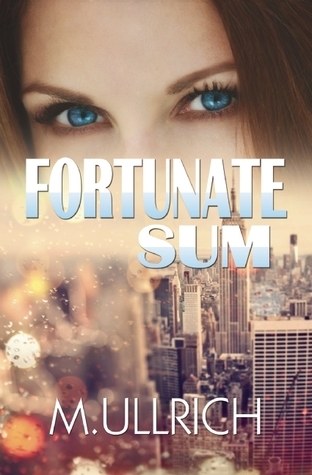 This is where her life suddenly collides with Catherine Carter. Both characters are chock-full of personality. They are relatable, interesting and have chemistry. Hallelujah! What makes it even better is these characters have flaws, perfect in many ways but deeply flawed in others, Catherine especially. I liked Catherine and Imogene tremendously, I liked them so much that when Catherine makes an epic mistake, total bonehead jackass move, I felt anger and disappointment in her. What’s great about that is that Ullrich made me feel an emotion towards this character, I was invested enough to actually care. That’s great writing y’all! My only point of contention with this book was I felt it needed another chapter or two finish it out. Overall fantastic read by an author that is very talented.